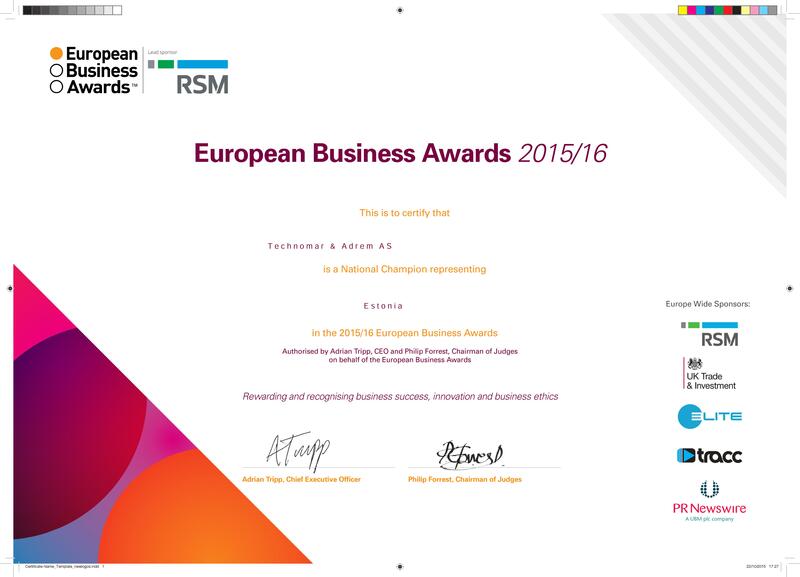 We are delighted to have been selected as National Champions representing Estonia in the 2015/16 European Business Awards! 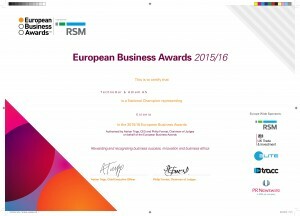 Technomar & Adrem AS received recognition for achievement in the Import/Export category for the stable growth of expert during the last few years despite the unstable overall economic situation. We are honored by this recognition and We’d like to thank our amazing team for the hard work in getting to this point and allowing us to achieve this award!